The legal speed limit in streets across much of Edinburgh’s city centre and rural west area has been decreased to 20mph. The roads round Murrayburn Primary went live at the end of February 2017. 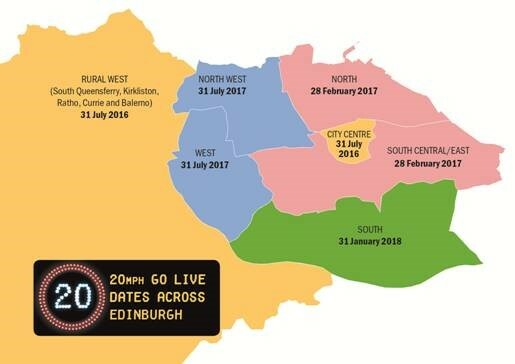 The phased 20mph ending early 2018 brings to fruition many years of planning and public consultation and the network has been designed in line with robust criteria in partnership with key stakeholders such as Police Scotland and Lothian Buses. The City Of Edinburgh Council have long recognised that a majority of city residents want to see speed limits reduced in the city centre, around residential areas and in busy shopping streets. Further information and a detailed map of the 20mph network is available at www.edinburgh.gov.uk/20mph or visit our Facebook page at www.facebook.com/edin20mph.